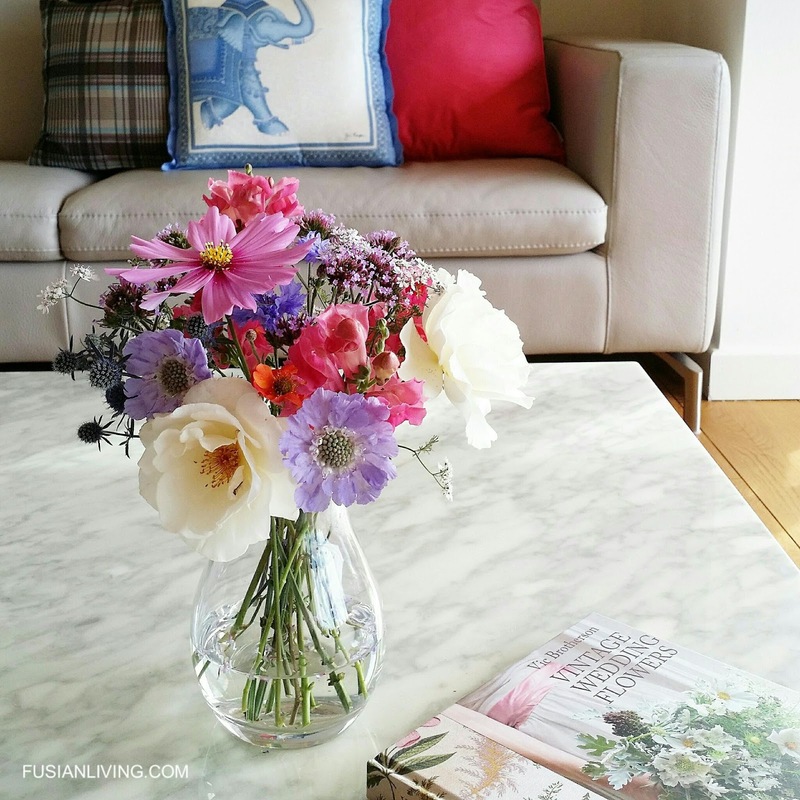 Summer Posy of cut flowers from the garden | Grow Your Own Veg Blog. Gardening and Food Blog. In the garden, pretty summer blooms are waiting to be picked at every corner of the garden. Lavender blue Scabious with their pin cushion centres and delicate, frilly petals are one of my favourite cut flower. Small white rose buds brought into the house, gently release their fragrance, as they open into full bloom. I also pick hot pink Antirrhinum (snap dragons as they are commonly called), the daisy-like Cosmos, intense purple clusters of tiny flowers from the Verbena bonariensis, coriander which has begun to flower, bright blue corn flowers and spiky balls of blue Eryngium sea holly. The flowers are casually arranged in this handcrafted posy vase, a perfect little vase to display cut flowers from the garden. There aren't any formulas here, just follow your heart.